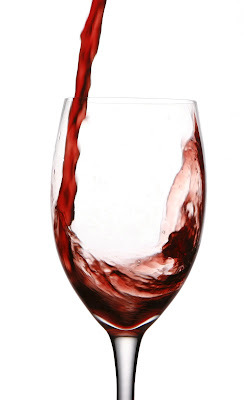 Wine allergies affect a small percentage of people in the world. This usually involves a headache accompanied by nausea and flushing that occurs in many people after drinking wine. These allergies usually involves red wine but can still be caused by white wine. Since the majority of wine allergy involves red wine, this condition is called Red Wine Headache (RWH). No one knows what causes RWH. There are studies involving histamines, tannin, sulfites and Tyramine that points to these as factors in RWH but results are still inconclusive. Tannin is a chemical substance that comes from grape skins, stems, and seeds. Tyramine is an amine that is produced naturally from the breakdown of protein as food ages. For centuries, people made wine by stomping grapes with their bare feet. But now, the art of winemaking is going high-tech at The University of British Columbia's Wine Research Centre. Have you ever gotten a headache or a rash from a single glass of wine? Has one glass of Merlot or Shiraz resulted in a painful hangover? If yes, you may be one of the 30 percent of people who are allergic to compounds that are in some of the world's most popular wines. A team of researchers at UBC's Wine Research Centre – which has received funding from the Government of Canada through the Canada Foundation for Innovation (CFI) – is working to resolve the allergic reaction some people have to wine. The research team has created a strain of yeast that prevents allergic reactions, producing a wine that is hypoallergenic and can be enjoyed by everyone. The yeast developed at the Wine Research Centre is now being used by some of the most recognizable vintages produced in Canada and the United States. "Investments made in science and state-of-the-art facilities are giving Canada's wine industry an edge in a highly competitive market," said the Honourable Gary Goodyear, Minister of State (Science and Technology). "Sectors across Canada such as forestry and agri-food are also benefiting from this type of research-driven growth." Most British Columbia wines are consumed domestically. The work being undertaken by Professor van Vuuren and his team aims to ensure that Canadian wines can better compete against the world's finest labels. "Advanced scientific knowledge is an important strategic asset for winemakers," said Professor Hennie van Vuuren, Director of the Wine Research Centre. "We are committed to helping this important industry compete." Researchers at UBC are even bringing the science of genetics to bear on the ancient practice of winemaking. Chardonnay is one of the most widely planted grapes on the planet and a staple of British Columbia's wine industry. However, few wine producers know what variety of Chardonnay they plant each year. Professor van Vuuren is hoping to solve this problem by sequencing the genome of several varieties of Chardonnay. The belief is that, with the right genetic information, wine producers can make better decisions about which grape to plant, increasing the productivity of their vineyards.